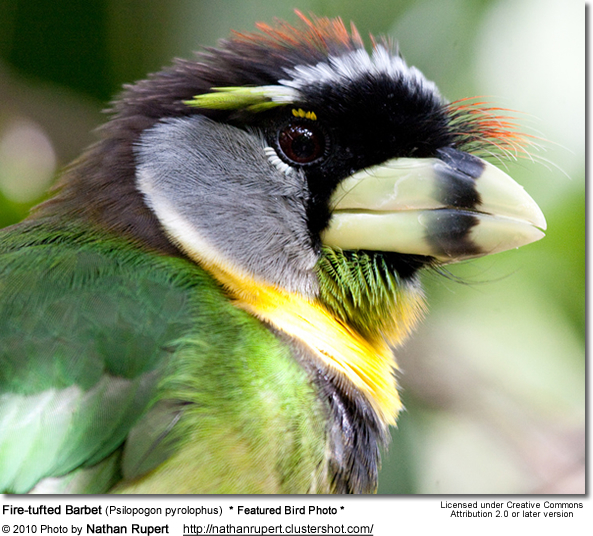 Barbets consists of about 75 species of brightly colored tropical birds constituting the family Capitonidae (order Piciformes) and are related to the toucans. 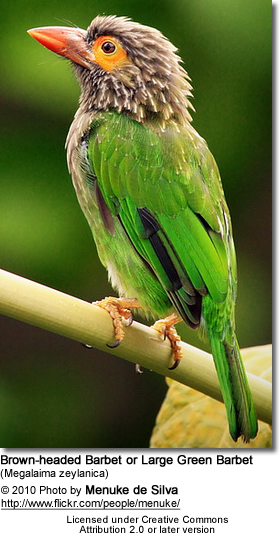 The barbets get their name from the bristles which fringe their heavy bills. 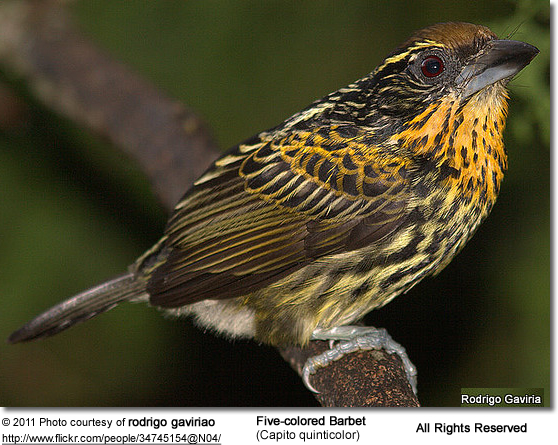 Barbets are found throughout Central America and in northern South America, in sub-Saharan Africa and in South Asia. These big-headed, short-tailed birds are 3.5 - 12 inches (9–30 cm) long and have stout, sharp bills with bristles at the bases. Their plumage is greenish or brownish, with splashes of bright colors or white. 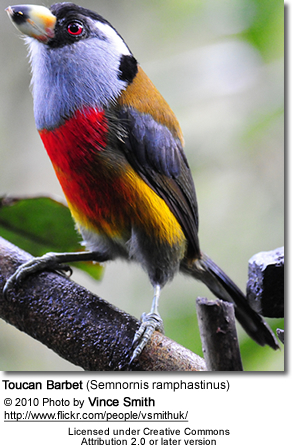 The smallest barbets are known as tinkerbirds. They feed on insects, lizards, birds' eggs, fruits, and berries. They call loudly while jerking the head or tail. This is a very vocal or repetitious species and is sometimes referred to as "brain-fever birds."